instrumentalist Adam Plack from New York about the Aboriginal grooves of the Nomad project. 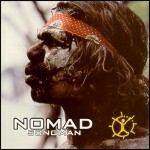 “Sultry grooves, entrancing tribal beats and snake-charming didgeridoo laced with exotic chants of Aboriginal Dreamtime,” states the promo to the long awaited follow-up to Nomad’s ARIA nominated self-titled debut of 1995. ‘Songman’ is the latest offering from New York based multi-instrumentalist and vocalist Adam Plack, and highlights a collaboration with the songmen of the Ramingining community in Arnhem Land, namely Bobby Bunnungurr, David Gulpilil and Jimmy Jidamin. After experiencing an inspirational performance at Melbourne University of the David Gulpilil Dance Troupe back in 1996, ex-Melbournite Adam Plack went on to establish the relationship with the Ramingining community that would later deliver the material for ‘Songman’. A unique happening, because rather than simply being an artistic encounter, it marks a true intercultural exchange. Other ‘Nomad’ projects include the 1998 soundtrack to Deepak Chopra’s ‘A Gift of Love’, a translation of a book of poems from the thirteenth century Persian mystic/poet Jalaleddidin Rum, which included the participation of Demi Moore, Deborah Winger, Martin Sheen, Goldie Hawn and Madonna, among many. What was the initial inspiration behind your decision to adopt the Aboriginal didgeridoo as an instrument of choice? AP: ”One of the first albums I made was called ‘Winds of Warning’. And at the time I had a studio in my bedroom, in a house that I was sharing with three or four artists in Camberwell (a southern suburb of Melbourne). And I was writing all these songs, and I just couldn’t finish them. And at the time I’d been listening to all this different fusion music – one thing that jumps out was a track that Peter Gabriel did with Youssou N'Dour – and I loved the way that the two worlds came together. You know, with such a beautiful kind of bridge. And I think something started ticking in the back of my mind, and instinctively I picked up a cardboard tube and started blowing in it, and I was like, ‘Geez, this is pretty cool!’ So I took it to the next step pretty quickly. I found someone in St Kilda esplanade that was selling didges, and got myself one, and actually became really good mates with him. His name is John Soimes, and I did the album ‘Winds of Warning’ with him. And John and I started going out into the bush and just imitating nature, and that’s pretty much how it started. It was just a natural attraction to a: the didge, the musical instrument, and b: tapping into the landscape was a really exciting teacher. Tell me about your latest collaboration with the songmen of Ramingining. How did the project come about? What kinds of methods did you have to employ in order to compose music with this Aboriginal community of Arnhem Land? So they got a pretty good indication of where the whole thing was going. It wasn’t really just like you sampling a few things and coming back with a dance track. And how has the community reacted to the end product? What was the motivation for the community to become involved in this project? Was it something they wanted to do? What have been some of the opportunities arising from your recent association with Deepak Chopra’s release of ‘A Gift of Love’? What are you up to in the upcoming future? ‘Songman’ out on Australian Music International. For further information visit the AMI Web Site. All rights reserved.  All text, graphics and sound files on this page are copyrighted. Unauthorized reproduction and copying of this page is prohibited by law. Copyright © 2000 by Andrián Pertout.